Location: "the net is vast and infinite..."
A new project is underway, determined to be released in Japan 2015. 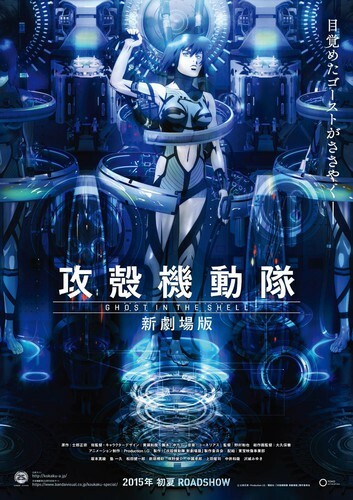 If I'm not mistaken, it is going to be called Ghost in the Shell: Evangelion (Gospel) ??? 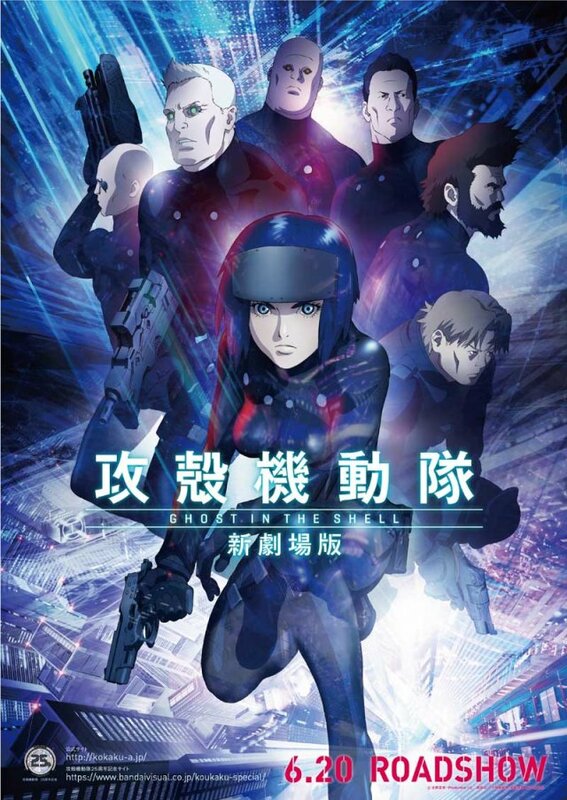 Here it is...the official teaser trailer for new animated film for Ghost in the Shell!!!!! I feel like discovering again the motoko from the 1995 movie...hope we have a Kamiyama or an Ito for the script though. Well according then to recent news...I guess AriseAlternativeArchitecture is a lead-up to this film, so I guess GitS Evangelion is in the same continuity as ARISE. It seems understandable, since it would almost seem too early in the game to end ARISE and take things in a whole new direction. Besides, much of the ARISE production team is involved with GitS Evangelion. I think the character design in the poster looks a little more SAC too, I wonder whether they are bridging the gap between her early years with Arise leading up to this movie? Hard to say...her hair seems more of the original film...although it is ARISE blue minus the high-forehead bangs. Considering that ARISE has consisted of new characters and stories yet integrated with previous scenarios from the original film and SAC...I'd say we are going to see something all new (in Arise universe at least) but maybe will absorb and continue to repurpose the story. SSS was somewhat of a new spin on The Puppetmaster, but so was 2nd Gig (to a degree with Kuze)...so I wonder if AAA/new film will make a new interpretation of it as well? Lots of conjecture on my part right now. Haha. 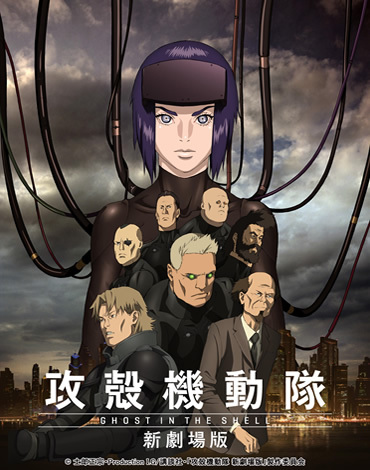 Well, the release date for this new GitS movie (residing in the ARISE universe) will be released June 20, 2015 in Japan. I have previously mentioned it being names GitS Evangelion, as that is what was being translated from the a couple of the early announcements. Cornelius is doing music for the new film. Maaya Sakamoto (voice of Motoko in ARISE) will be singing the new theme song, Mada Ugoku...which should be released as a single June 17th. Maaya Sakamoto and Cornelius' collaboration, Mada Ugoku, has a live studio version that is streaming on Cornelius' GitS music site. Sounds good! Looks like an action fest, I hope it has the story to back up the animation etc It's got pretty big shoes to fill. The latest trailer for the new movie...looks SO good! A familiar version of Motoko appears near the end. Ghost in the Shell: The New Movie will be released on Blu-Ray/DVD in Japan October 28th.